Penne - probably the most popular short tube-shaped pasta - get their name from the Italian word for pens, because they are cut in the shape of quill pen tips. Their angled opening and hollow tube gives them lots of surface area for sauce to cling to, making them perfect for a whole range of dishes, from pasta al forno to cold pasta salad with roasted vegetables and a splash of olive oil. 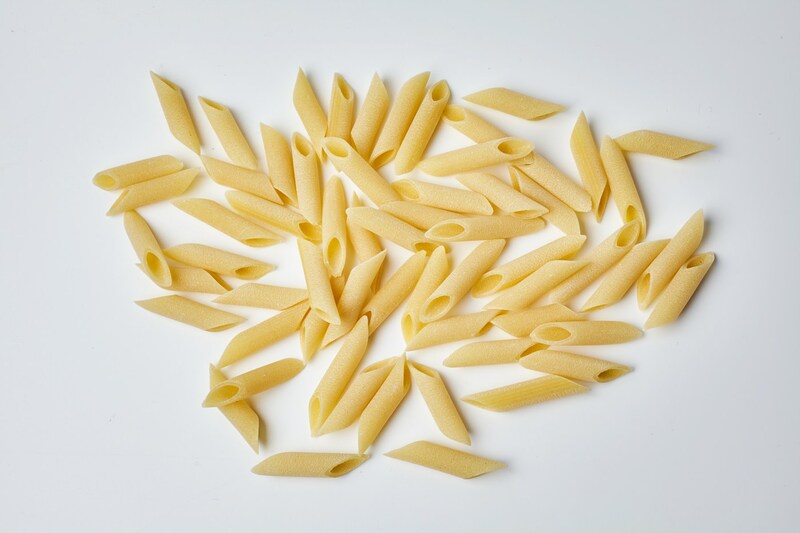 The hard durum semola flour used to make Penne Martelli is 100% Italian semola di grano duro. Martelli pasta is much more than just a dried vehicle for sauce. What makes Martelli pasta exceptional is the taste - the earthy flavor of quality wheat - and its satisfying density. It can be enjoyed with just a drizzle of olive oil, but be sure to cook it al dente! Martelli pasta is made from top-quality semola, manually worked into dough using cold water. The dough is cut with traditional bronze dies and air-dried for 40-52 hours (compared to conventional pasta that is oven-dried in under an hour). These processes give the pasta a rough surface and special porousness, perfect for catching pasta sauce. The slow drying also allows the pasta to be digested much more easily, and keeps you fuller longer. Why don't Penne Martelli have ridges? How can I buy Gustiamo foods for my restaurant or shop?